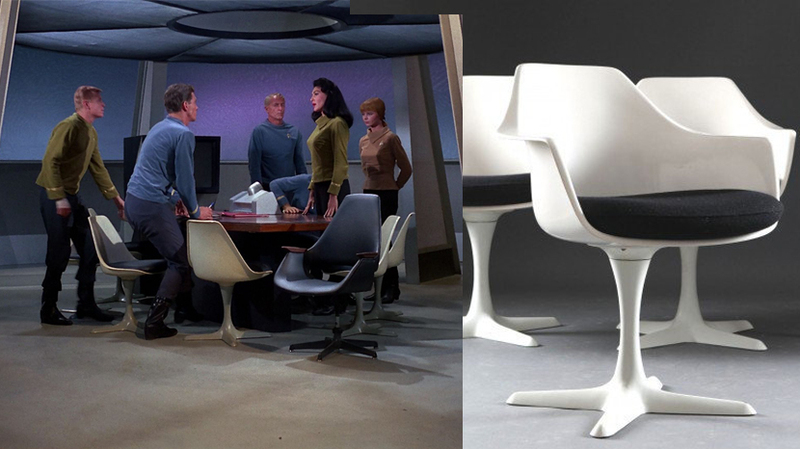 As many a book or website will tell you, the Tulip Chair was heavily featured in the original Star Trek TV series (1966-1969). 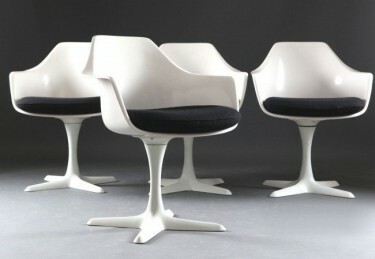 The original and best Tulip chair if you’re a design snob like me, was designed by Eero Saarinen in 1956. 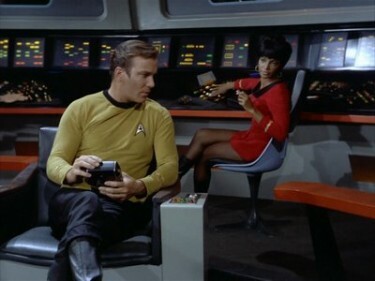 But what exactly is the Star Trek chair? 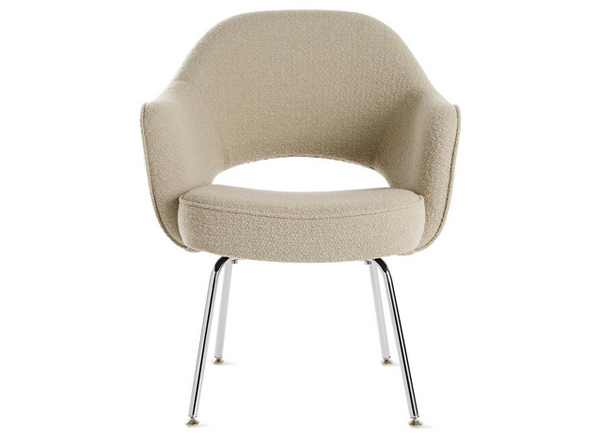 As previous FF guest writer Natasha Brinsmead says: “This modernist chair looks equally at home in a home office or living room as it does around a dining table. 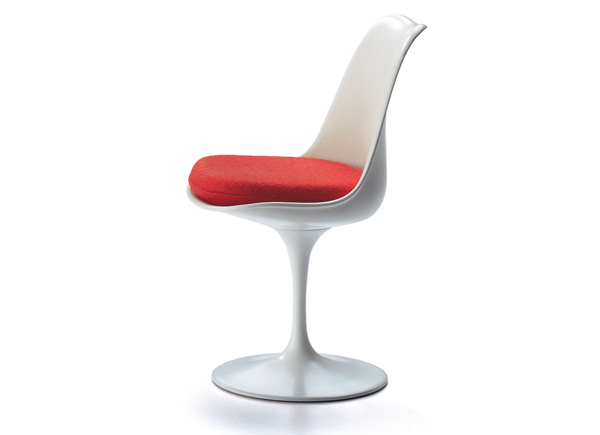 Part tulip, part stemmed wine glass, the chair was designed to eliminate clutter and looks perfect in both contemporary interiors and traditional, eclectic schemes alike. 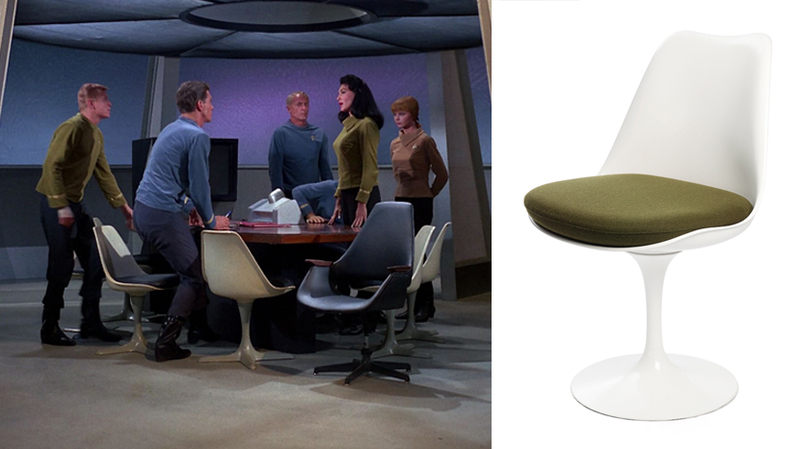 Its futuristic good looks would have made it very at home on the U.S.S Enterprise during the late 1960s in the TV Show Star Trek”, but the chair, which so many have said was a Saarinen was in fact designed by Burke of Dallas Texas and made by Arkana. 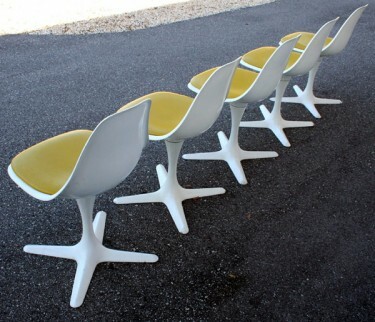 The Burke Tulip chairs are the first cousins to Saarinen’s Tulip chairs. Some might say rip-off, but they got away with it on a mass scale and in fact the Burke Tulips are collectable and have value in their own right. 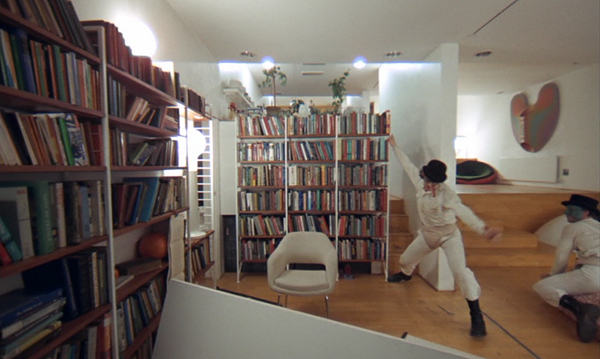 Burke versions often have the starburst base like the ones in Star Trek. 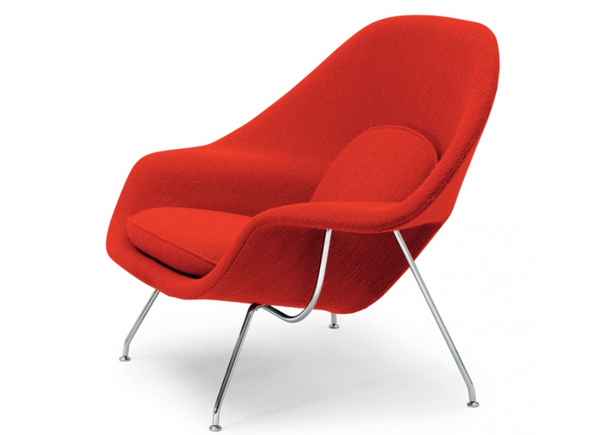 As the Chairsmith blog puts it: “Come on, there’s only one Tulip chair, and it’s the one designed by Eero Saarinen for Knoll. End of. 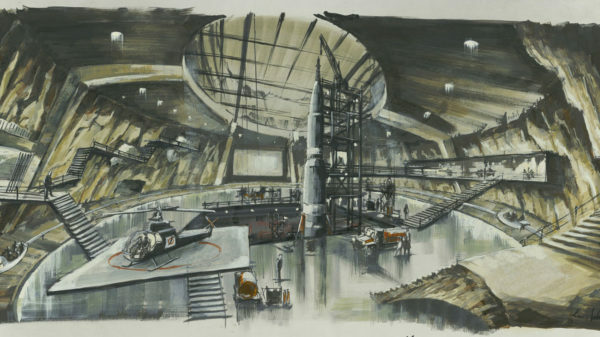 Just how Mr. Burke was able to take Saarinen’s design and reproduce it so, umm, blatantly is beyond us. 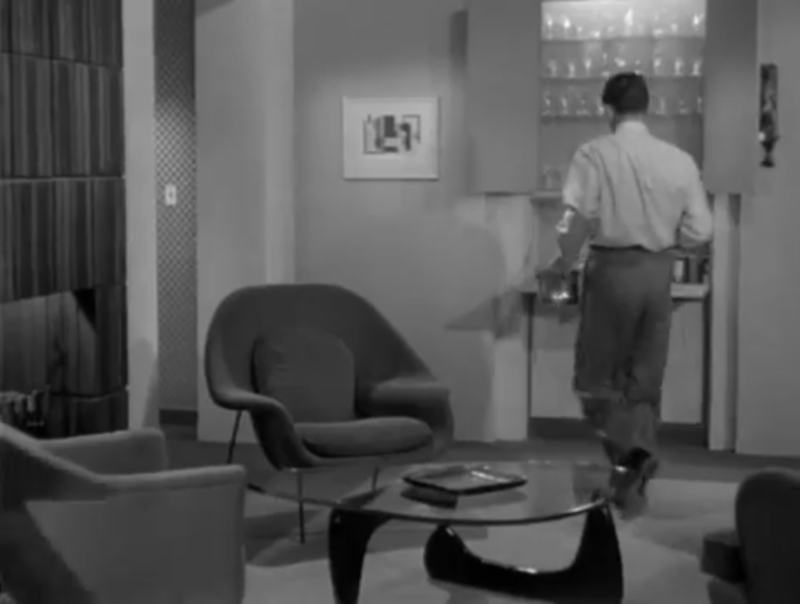 But he did… The seat has very similar dimensions to Saarinen’s chair, but the pedestal features a four-legged propeller shaped base instead of the circular one seen on Saarinen’s design. 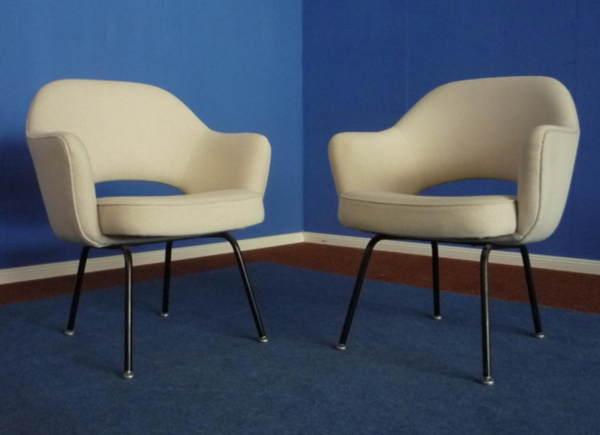 Also, as with Saarinen’s design, Burke’s were crafted from fibreglass plastic and the pedestal bases made of enamel-coated aluminium”. 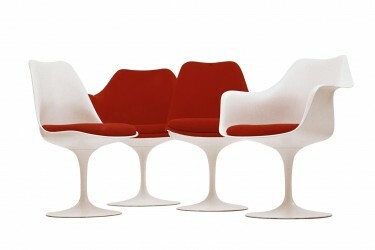 The Saarinen Tulip chair collection in classic white/red. 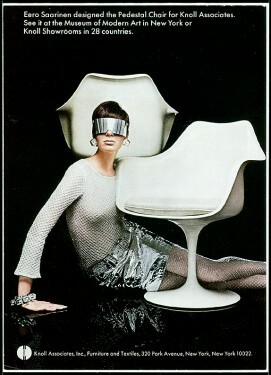 And if Saarinen didn’t have futurism in mind when he designed it then Knoll certainly did when they marketed it – take a look at this stunning advert. 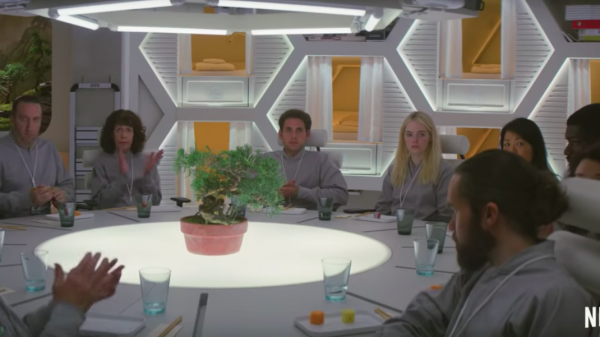 What’s the FF low down and where can I get one? 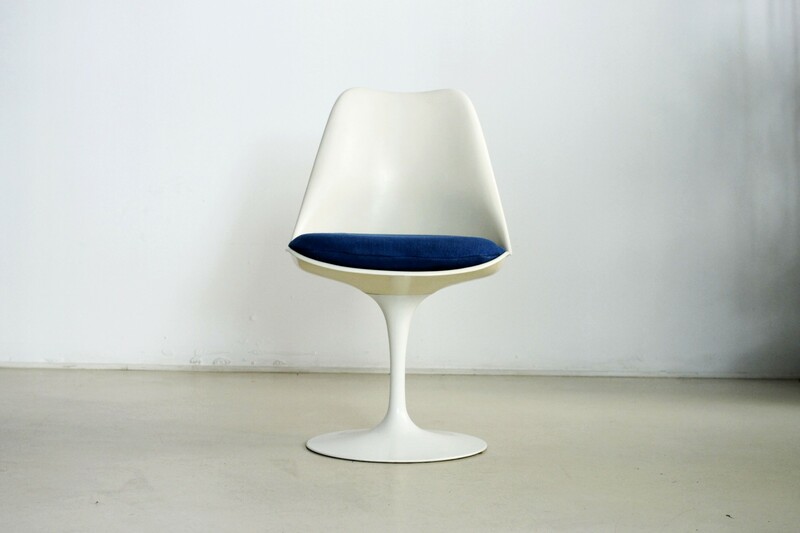 Considered one of the great icons of design, the Saarinen Tulip chair for Knoll consists of a base of die-cast aluminium lacquered in snow-white and protected with Rilsan. 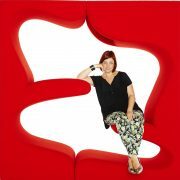 The fibreglass shell is reinforced and lacquered in snow-white and features a removable seat cushion. 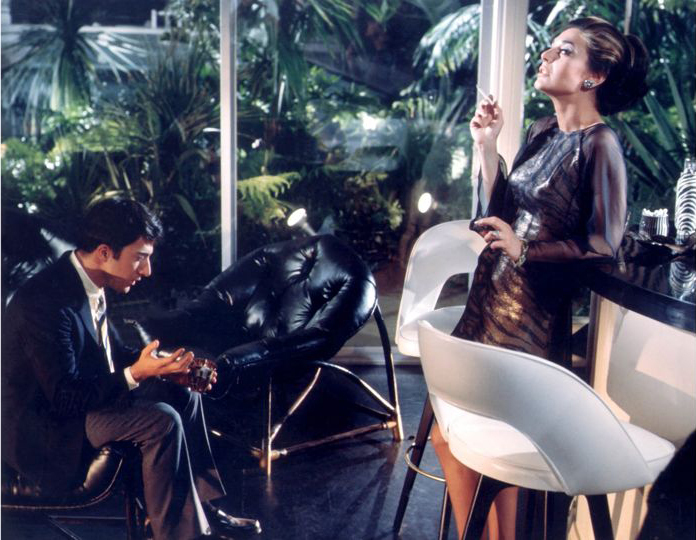 The Finnish American architect and furniture designer had a close relationship with fellow students Charles and Ray Eames, and became good friends with Florence Knoll. BEWARE! There are many rips offs out there. 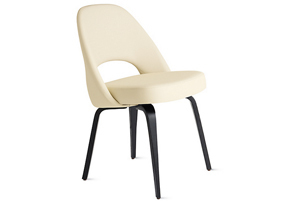 Newly produced official Saarinen’s by Knoll can be found at The Conran Shop (UK) or 2Modern (USA) with seat pads in various fabric colours and seat/back combinations. 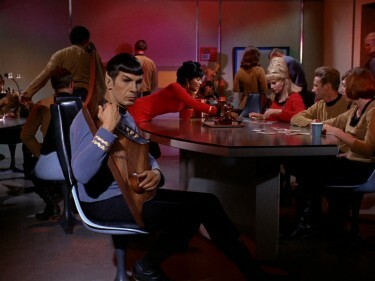 Note: Star Trek tulips were the armless design. 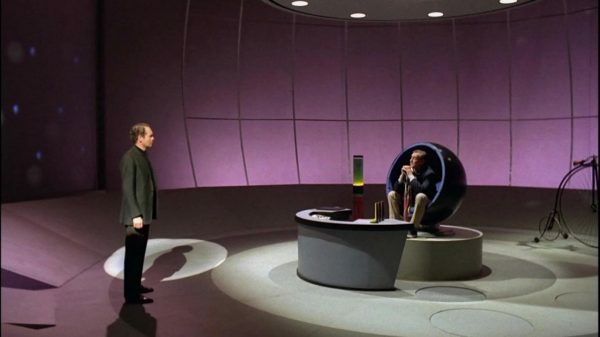 Saarinen furniture is also featured in 2001: A Space Odyssey. I prefer the round base. 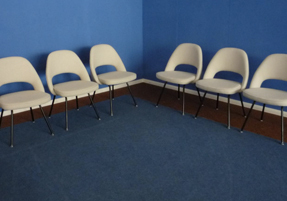 Great chairs. Great article on BURKE COMPANY. I recently found 3 in awesome condition circa 1960s-1970s. 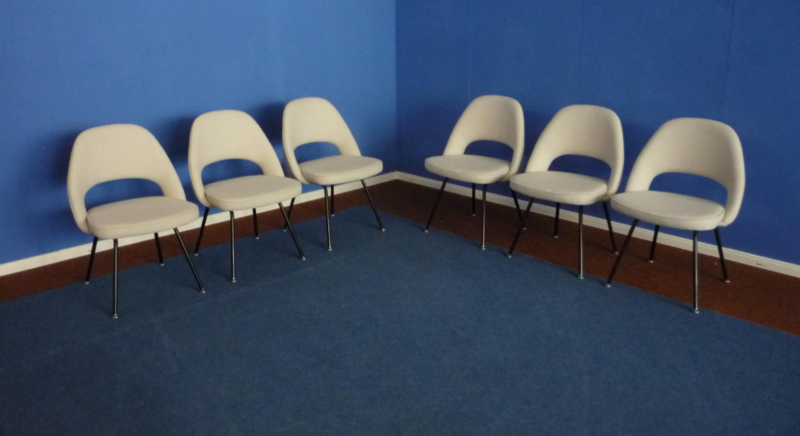 Two side chairs and an arm chair on a swivel base. I’m a hobby Mid Century Modern picker in Southern California. Does anyone know where spare parts for the Burke #116 ‘Saarinen style’ Propeller Tulips can be obtained?